The FX collection embodies the flawless fusion of exposed seating technology and sleek, upholstered planes for maximal comfort. This sophisticated conference chair is designed with strong structure and solid support. 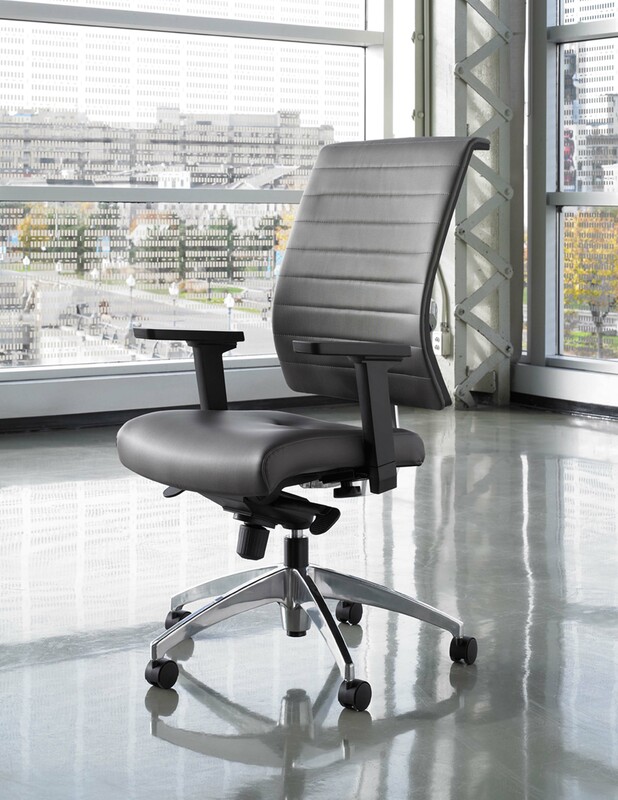 Our FX chairs radiate with intelligence and will enhance your offices, collaborative work areas, huddle rooms, and conference centers. Tailored to match your office vibe, the backrest comes in channel-stitched upholstery or mesh. Make additional specifications thanks to Rouillard’s wide array of ergonomically designed chair components to make this a classic fit for each worker and work space.